The purpose of the Connecticut State Grange Student Loan fund is to assist Grange Members in obtaining a higher education. An applicant for a loan must be a member in good standing in a Connecticut Subordinate Grange. 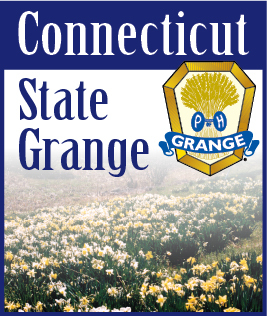 Applications and information are available from the State Grange Secretary's office, P.O. Box 1393, Glastonbury, CT 06033. Scholarships are awarded each year to students at the University of Connecticut, and other accredited colleges and universities. Applications must be made by the students. These forms are available from the State Grange Secretary. The scholarship application form can also be downloaded as a PDF File on the Downloads page. Former Scholarship Recipients . . .